In collaboration with engineer Tomáš Kalhaus, architects Jerry Koza and Adam Jirkal have created Plot X, a beautiful floating house that can be expanded or reduced to suit its residents’ needs. 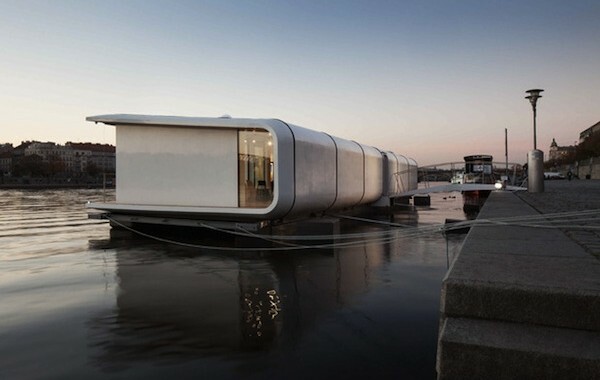 A prototype of this innovative, design-conscious modular home is currently being tested on the Vltava River in Prague, Czech Republic—it has already been used for various events, including art and design exhibitions. 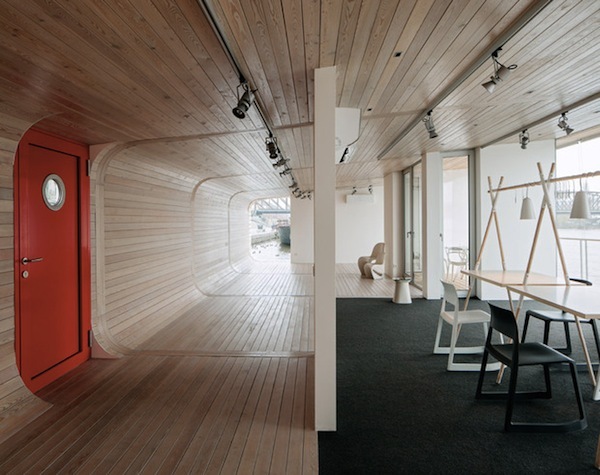 Made up of C-shaped segments that could be connected together to create bigger spaces, the Plot X is made of materials that are traditionally used for building boats. While it is perfectly capable of being used on water, this versatile house is also designed to be used on land, and could be placed just about anywhere, including mountainous areas. View more images of this stunning structure below—or find out more about it on its website. Posted in Architecture, Innovation, News and tagged Adam Jirkal, Jerry Koza, Plot X, Tomáš Kalhaus.